Please forgive what may be a silly or very rudimentary question. Can someone please explain what, if any, differences there are between the KTD ngondro text and the text practiced & sold at Kagyu Samye Ling? I just embarked on the practice of Ngondro after having received the 'lung' for the 9th Karmapa's "Chariot for Traveling the Noble Path" from Khenpo Karthar Rinpoche back in early May. Before that I had been contemplating the Four Thoughts (which turn the mind to dharma, a.k.a. the four "ordinary" foundations), especially as presented in Karma Chagme's Mountain Dharma, Jamgon Kongtrul's Torch of Certainty, and the pithy phrases of the 9th Karmapa Wangchuk Dorje. Since I have now begun the section on Refuge & Bodhicitta, I have taken to practicing the text compiled by the 17th Karmapa Ogyen Trinley Dorje called Ngondro for Our Current Day, with the permission of Khenpo Karthar's nephew, Lama Karma Drodhul. His Google group on Ngondro is well known, and Lama Karma D is who KKR has handle the ngondro retreats and such, so I have complete confidence in being told this is ok.
That said, I do realize that I have the transmission for a different text, and that I don't have the transmission for the one I am practicing. The visualization of the refuge field is also a bit different than the standard tree which is well-known. I'd like to get a thangka of the refuge, and find myself more able to get the standard tree than have one made from scratch with the little bit of commentary by His Holiness Karmapa. Can we have a discussion on the different texts used for the Karma Kamtsang ngondro... please? Thanks in advance! There are many different ngondros in the Karma Kagyu, but the one by the 9th Karmapa seems by far the most common. The text from Samye Ling is the 9th Karmapa's text....same as KTD. Karma Pakshi is a separate Guru Yoga, usually done after Ngondro. The short Jamgon Kongtrul Ngondro Magnus linked to, was the text usually taught by Mingyur Rinpoche as part of a 3 year Mahamudra course he used to teach....it's very nice and concise. 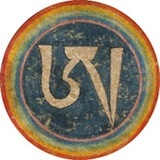 Edit: just checked the Samye Ling website... No idea why it says Guru Yoga: Karma Pakshi....they may have included it as Mingyur Rinpoche taught it there a few times....but I doubt it....I'll ask Ani Paldron in the shop. The standard Guru Yoga is in that to text....plus you need a separate Wang, Lung and Tri for Karma Pakshi....it's quite an elaborate Sadhana. I do a daily practice of refuge with prostrations from a Ngondro text I received at the Kagyu monlam a few years back. The lama who gave me the transmission and a kind friend provided me with the text, but it lists no author (I fear it is maybe missing a page). On the cover in English it says Ngondro Practice Text, but it would be more accurately "The Liturgy of the Convenient Arrangement of the Preliminary Practices". (སྔོན་འགྲོའི་ འདོན་ཆ་ རྣམས་ ཁྱེར་བདེར་ བཀོད་པ་) sngon 'gro'i 'don cha rnams khyer bder bkod pa. I find that the text is very easy to use, as well as chant along with the prostrations. An audio recording would be great, though, because I would like to learn the tunes if there are any. Where I am in Holland there are not many Kamtsang Lamas nearby. There is a centre in Belgium, but the activities are on the weekends and I usually have translation responsibilities here. There is a Kamtsang Lama in Firesland in the north of Holland called Lama Gawang. If you get the chance to go to the Brussels centre go, it is a beautiful little place. Generally, I just chanted the Ngondro text 'straight' with no tune. I am not sure which text you have, but I'm guessing it maybe the short Ngondro written by the 17th Karmapa. I done the concise Jamgon Kongtrul text linked by Magnus earlier, Mingyur Rinpoche only had us do 10k of each part. He also gave pointing out instruction and the Karma Pakshi Guru Yoga (the terma of the 1st Mingyur Rinpoche) as part of his 3 year Mahamudra course. Relying on many spiritual friends, I took to heart and followed the practices, and with the aim of developing the awakening mind of bodhicitta, have arranged the vajra teachings, The Chariot for Traveling the Noble Path. It's the standard Karma Kagyu text by the 9th Karmapa. That's the 9th Karmapa one. Last edited by Stewart on Mon Sep 09, 2013 3:11 pm, edited 1 time in total. Weird...JK's post was the last one when I replied...then I posted, and Greg's appeared! For some reason 'chariot' does not appear on the cover page, just the introductory paragraph. Regarding the Karma Pakshi guru yoga, that's not a problem in my case. In fact, that being included actually contributed towards me getting the KSL text. Khenpo Karthar Rinpoche gave us the lung for 9th Karmapa's text in full when he visited Valdosta, GA back in late April. And, after recognizing an intense devotion arising in me towards him, I followed Rinpoche to the next teachings on his tour in Jacksonville, FL. There he taught on the Three Roots. He also gave the Karma Pakshi wang (probably more likely the jenang). As for the lung and tri, Khenpo told us it would be beneficial to do the practice, and advised us to use the Karkhyen mantra for our practice. You are sure he give you the lung for the full text? Coz the full text also includes the Vajrayogini practice. Normally they do not give this section because one needs the empowerments to practice it. The Karmapa chenno mantra is included the Ngondro...not the Karma Pakshi Sadhana....which is completely separate from the ngondro. The KP sadhana is quite long and elaborate involving Tormas, a complex visualisation of an 8 deity mandala...many different mantras...Tsok etc. It's not simple. I'd be surprised if it is included in the Samye Ling text, despite what the website says. I lived at Samye Ling for several years...it was never included then...maybe it's a recent addition. Maybe Rinpoche was indicating that he wanted us to do the Karma Pakshi sadhana when we had "completed" the ngondro, and that Lama Tsultrim Khandro (the resident lama in Jacksonville) could give us the lung. There were recordings made of the teachings, but not the empowerment, so I'd have to check... But honestly I don't remember him giving a lengthy transmission. Question: In the standard text of the 9th Karmapa's Chariot, who is the Guru Yoga on? I haven't flipped ahead in 17th Karmapa's text to know what came from the 5th Shamarpa's text which it was based upon. Is it Vajradhara with the 4 qualities, or one of the founding fathers of Kagyu (Marla, Milarepa, Gampopa) like done in 3 year retreat? The "Chariot" guru yoga focuses on Vajradhara as one's root guru, along with all the Karmapas and Kamtsang Lamas...the Karmapa Khyenno mantra is used. Karma Pakshi sadhana is usually practiced as one's primary practice after completion of ngondro, at many Karma Kagyu centers, including the KTD/KTC centers. It's a "LaDrup," or "Guru Sadhana," which is a bit different than Guru Yoga, though it incorporates the elements of Guru Yoga, it's also a sadhana that includes all three roots. There's no "Jenang" for Pakshi LaDrup--the empowerment is a terma empowerment, and there's only one--it's fairly short, though--not a major, two day Wangkur. The "Chariot" also does include a short "GyunKher" or Daily Recitation of Vajrayogini, which may or may not be included in the text, and may or may not be included in the lung, depending.....it's true that normally Lamas require the Kamtsang Vajrayogini empowerment prior to giving that instruction and transmission. Keep in mind, though, that this Daily Recitation is not the full sadhana of Kamtsang Vajrayogini. Thank you for clarifying that, Cone. Wasn't aware there is a difference between Guru Yoga and Gurusadhana. Guess maybe the terms empowerment for Karma Pakshi came dowb from Yongey Mingyur Dorjé himself? Being connected with the Drikung lineage, it was cool to hear directly from Rinpoche that YMD was a reincarnation of Chögyal Rinchen Phuntsok. Makes sense that the teachings surrounding the Karma Pakshi empowerment were on the Three Roots. We were told that the lama embodies them all, and as you said, that is included in the gurusadhana. This is the first I've heard of a daily recitation of Vajrayogini being in the Kamtsang ngondro (or any ngondro, for that matter). That's probably one of many reasons the 17th Karmapa says one needs the empowerment of either Chakrasamvara or Vajravarahi. Makes sense. His Holiness doesn't say it has to be from a Kamtsang lama, just from "an authentic lama." Based on how close the Namchö lineage is, and how many Namchö practices have been incorporated, all should be good. I am not so clear on how the pre-requisite instructions work in the Karma Kagyu, to be honest. It seems as if the Ngondro is a pre-requisite for yidam practices of the Highest Yoga Tantra class, is this the case? And what about Guru Yogas? I remember at the Kagyu Monlam 2007 I attended, HH Karmapa UTD granted an initiation (from what I observed it seemed to be a jenang initiation) of Milarepa. I asked one of the Lamas sitting near me in the Sangha section about this initiation, and if it allowed one to do the Milarepa Guru Yoga sadhana. He said that certainly it did. Later on during the event, however, there was a Guru Milarepa Tsog feast ceremony, and the HH Karmapa as well as a later announcement said this was restricted to those who had completed a Kagyu Ngondro practice (some of the Nyingmas said actually HHK said any ngondro, but I did not hear well enough to know for sure). So I have to admit, this left me confused. Is the Tsog portion of Lord Milarepa's sadhana considered HYT and the rest not? Am I wrong for practicing the Guru Yoga of Milarepa with Tsog offering from time to time despite not finishing ngondro? What about the other guru Yogas, such as those of Gampopa and so forth? Sorry if these questions are ignorant but in the Gelug tradition, where most of my teachers are from, the approach is very different. Ngondro is practiced throughout one's spiritual career and knowledge of the presentation of Renunciation, Bodhicitta and correct view is the most often stated pre-requisite for Highest Yoga Yidam practices. That isn't to say Gelugpas don't do the preliminaries- Tsongkhapa did millions of accumulations at Wolka. Just that people would not be refused initiation into say, Yamantaka or Vajrayogini, if they hadn't completed them. Lamas sort of have their own pre-requisites according to their judgement. The senior Geshe here insists on people having kept refuge for at least five years. I myself am doing the Kamtsang Ngondro- prostrations with refuge. But at the current rate it will take a long time to complete. I also have recitation commitments for several initiations from my Gelug teachers, so need to be balanced. JKhedrup wrote: It seems as if the Ngondro is a pre-requisite for yidam practices of the Highest Yoga Tantra class, is this the case? Yup, you got it! For example, this weekend I am going to receive a yidam empowerment and a prerequisite for people receiving the empowerment is ngondro. Anybody that has not (at least) started ngondro will not be allowed to take the empowerment. Mind you, it comes with practice and retreat samaya, so I guess they want people that may be slightly more dedicated rather than empowerment junkies? I don't know if there is a general rule, but we used to practice Milarpea tsog without having completed ngondro (some of those involved hadn't even taken refuge), but that was always in a retreat setting. Well, if you have received the lung for the tsog then what could possibly be the problem? That said, we also have a short "general purpose" tsog text which can be inserted into any practice (or even practiced by itself). The senior Geshe here insists on people having kept refuge for at least five years. Sorry, but what do you mean by "keeping refuge"? Yeah, it's pretty difficult outside of a retreat setting, especially if you have other commitments (practice and otherwise). Normally (and this was said to me by a number of lama) when one does ngondro, they should do no other practices. In other words, going through a refuge ceremony sincerely, as well as keeping the commitments of refuge in addition to any of the 5 lay vows one may have promised to uphold without any slips. Also, he wants to see that the students attend Sutra level teachings somewhat regularly throughout those 5 years. (This is our senior teacher here, Geshe Sonam Gyaltsen. Geshe Sonam Ngodup who I translate for only gives Kriya level initiations, though he has completed many retreats on, for example, Hayagriva). Normally (and this was said to me by a number of lama) when one does ngondro, they should do no other practices. I can see the wisdom in this approach but have daily recitation commitments from HHDL and some of my other teachers. Last edited by JKhedrup on Tue Sep 10, 2013 8:23 pm, edited 1 time in total. The Milarepa LaDrup has only one "empowerment," as well. As fo rthe restrictions imposed on attendence, it varies.....in general, I would think anyone with HYT empowerment would be allowed, and attendence would vary based on the Vajra Master's instruction---So, in the specific case, HH Karmapa's restriction should be observed for that event. I have been present at Milarepa "tsoks" with people who had not completed ngondro, and the Vajra Master allowed it. In general, ngondro is a prerequisite for HYT practice in the Karma Kagyu, but again...it depends on the Lama. The Vajrayogini recitation at the end of "Chariot" is not the full mandala practice, but merely a means of keeping connection, really. But it's a practice that one wouldn't do without HYT empowerment. Deity yoga, in general, is "part" of the Path of Liberation, which is the focus of the Kagyu ngondro---the spontaneously-coemergent Mahamudra. But it's not the same "deity yoga" path as that of the Path of Means, which relates to Creation and Completion in a more extensive form--the full sadhanas of the Three Main Kamtsang Yidams, and the Six Yogas of Naropa.